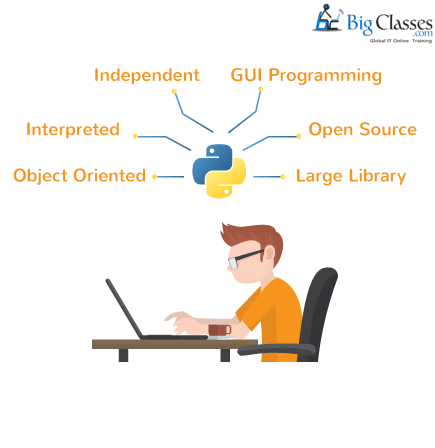 You must have heard that Python is a powerful and an advanced-level programming language in the world. It was created by Guido van Rossum and was launched officially in 1991. Python is based on code readability and syntax, allowing programmers to code in fewer steps. 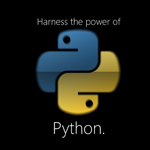 Python is suitable for both small scale and large scale industries. 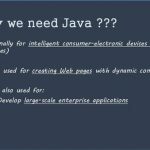 The reason Python is a famous and top growing languages is that it has a prominent automatic memory language that supports the programming paradigms and due to its libraries. Python has an active community that shares Python guides, documents, and also, tutorials. You can even discuss regarding the coding. Python was adopted by Google and has been sponsoring it ever since. Google has created numerous guides and tutorials to help anyone in need. Python has a good collection of libraries for scientific computing and web development. Wish to Learn Python? Click Here! 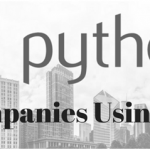 Python Developers use Python for various applications. 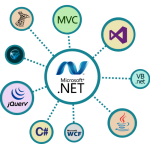 It is one of the desired programming languages for creating any GUI desktop applications due it is syntax, architecture, and tools. It is also, used for designing a compatible scientific application with the help of Python libraries such as SciPy and NumPy. It has helped in creating 3D and element software. Python is used to develop games, 3D games with the help of PyGame. A Python Developer is responsible to manage the data interchange between the users and servers. Their focus is to develop server-side logic. They ensure the high performance of their coding from the front end. 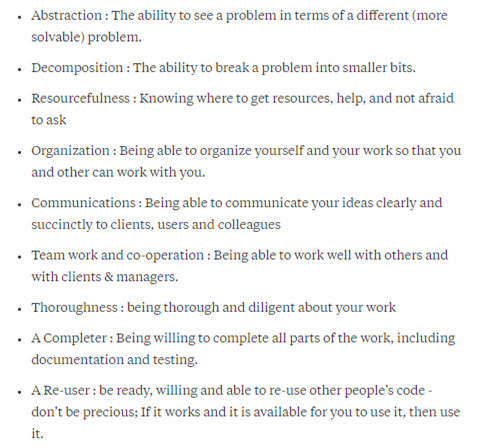 Given below are some of the role one has to play being a Python Developer. Creating usable and re-writable code. Integrating user-facing elements created by the front-end developers. Executing security and data protection. Should be an expert in Django, Flask and the other Python Web Framework. Should be familiar with Object Relational Management (ORM). Should be able to integrate multiple data sources and database into one system. Should have the basic knowledge of user authentication, and authentication with systems, and servers. Should be an expert in delivery platforms, i.e., mobile VS desktop. Should be able to understand and implement code versioning tools like the Git, SVN, Mercurial. Create applications based on the desktop with the syntax, architecture, and processing tools. Create scientific applications using scientific python and numeric python. Create games such as 3D games by using PyGame like Civilization IV, Disney’s Toontown Online and more. Create web applications like CherryPy, Django, Bottle, and more. Manage content, integration, interfacing with Python. Create an application for larger scale with better libraries, extensive and readable syntax by using Python. Create languages using Python such as Boo, Apple’s Swift, CoffeeScript, and more. 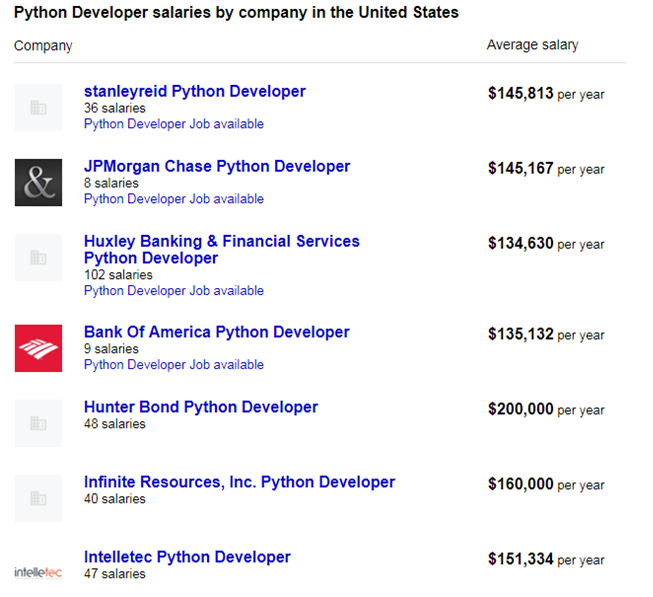 Fig:The average salary of a Python Developer is around 1, 16, 015 $ P.Y. Fig:Salary trends in top companies in the USA. Fig:The average salary of a Python Developer is around 3, 41, 699 INR P.Y. 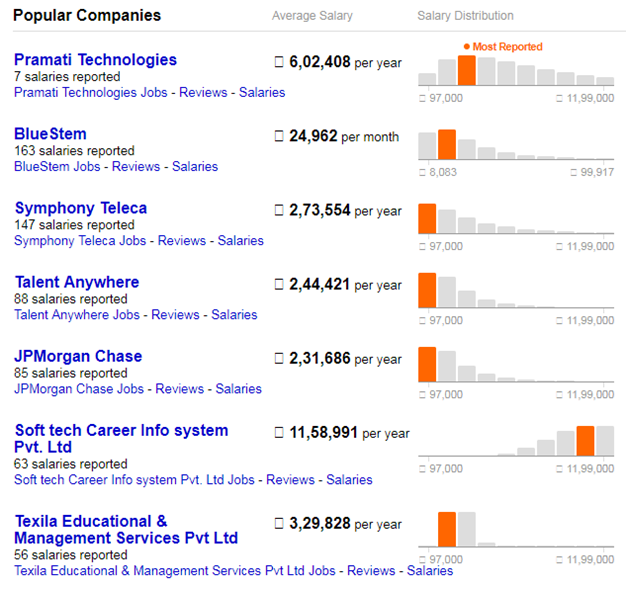 Fig:Salary trends in top companies in India.